If I as an american hiphop artist can make you feel something with my trapcore music, then I have accomplished my goal. This song is intended to make you feel a certain way. I'm not trying to endorse drunk driving in anyway, but merely show you the self centered monster that you become when you decide to do so. The Dangers of DWI by JEDISWIFT was inspired by my past experience. A driver with a blood alcohol concentration (BAC) of 0.10 or greater is seven times more likely to be involved in a fatal motor vehicle crash than is a driver who has not consumed alcoholic beverages, and a driver with an alcohol concentration of 0.15 or greater is about 25 times more likely. A 160-pound person drinking two beers within an hour would probably have a BAC of 0.04, well below the legal limits of driving under the influence, but 1.4 times more likely to have an accident than someone who is sober. Two more beers? The likelihood of an accident goes up almost tenfold. At .08 BAC, a driver is 11 times more likely than the non-drinking driver to be involved in a crash. As the amount of alcohol in the driver's system rises mathematically on the BAC scale, the likelihood of a traffic accident multiples. So.. What im saying is, dont drink and drive. Smoke pot and fly home kids. You have wonderfully conveyed such a nice message. 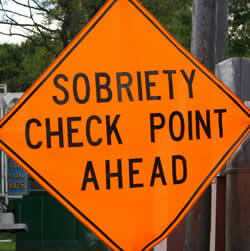 We should not drive after get drunk.Its too dangerous for us.It may lead to God forbid,some serious accidents. Some fantastic tips! I will need to see how I can use them.Have a great day!